These olives should be eaten with bread, whole dining experience a mix of olives, wedged between a piece of bread, a tiny sandwich drenched in dressing and a slice of onion. 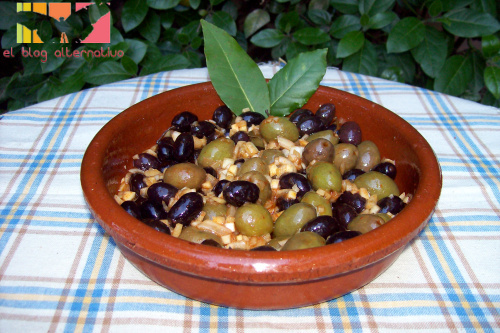 "½ kilo of black olives (the photo are empeltre, but you choose the variety), 1 red onion, 1 green pepper, 1 lemon , 4 cloves of garlic, thyme, rosemary, 1 glass of white wine vinegar, ½ cup olive oil, salt, water and 1 tablespoon of paprika. The first step is optional dressing olives, olives begins pounding with the pestle, or by making a few cuts with a knife. Doing this helps to penetrate the flavor of the dressing within the oil and macerated before, but not essential. Cut the onion into 1-cm. to puncture, sliced chilli, garlic slices. Put the olives in one bottle, we add the onion, garlic, thyme and rosemary, mix it all very well. In a jar put half a cup of oil, a glass of vinegar, salt and pepper, cover and emulsified stirring well to avoid lumps unpleasant. We added to the bottle of olives, stir and integrate all the ingredients. If this leakage have not been covered, add a little water. We plugged a few days and store in refrigerator. To serve them put them in a glass bowl or a mud pie. 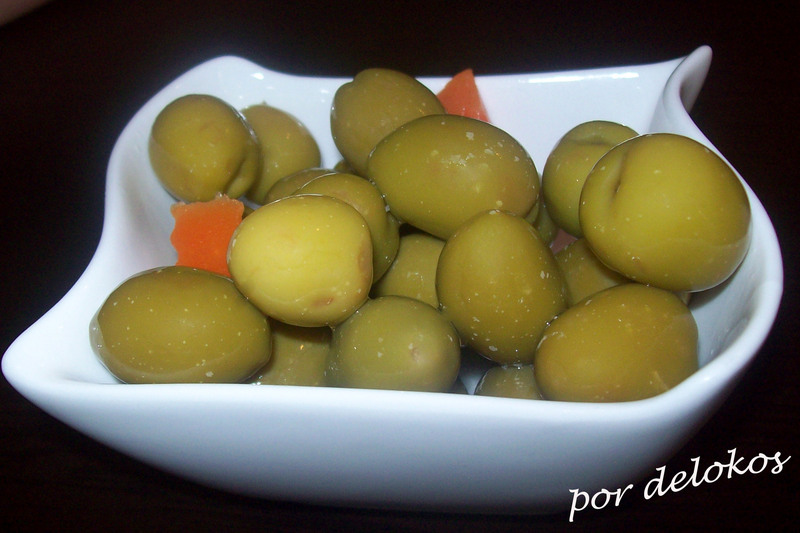 These marinated olives are eaten with bread.